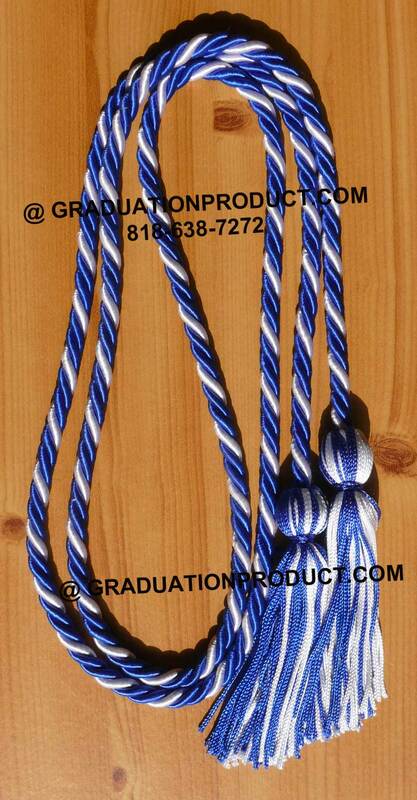 Blue and White Honor Cords for Graduation and Royal Blue and White Graduation Cords for Academic Honors and Commencement. Customer Reviews on "Royal Blue and White Braided Graduation Cords"
They were good quality and looked great on our students! Write you own review on "Royal Blue and White Braided Graduation Cords"